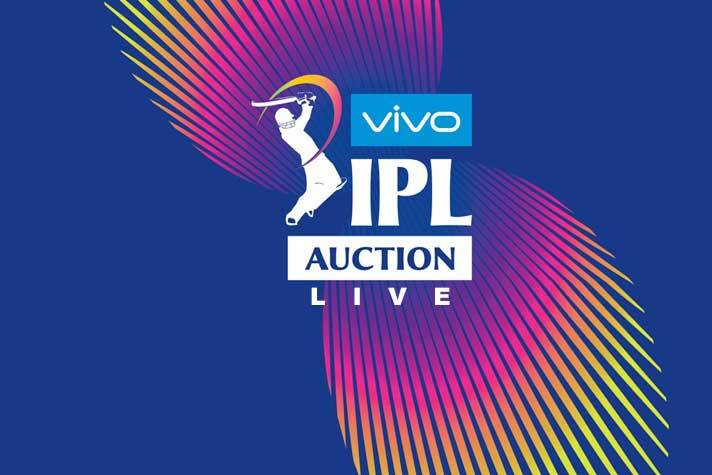 The Stage is set for the Indian Premier League Season 12 Auction. All the eight franchisee managements and think tank are in Jaipur since yesterday (Monday), geared up with their strategy to get the best possible line-up for the season ahead. The Eight franchisees are lined up with a total of ₹144.75 crore to acquire up to a maximum of 75 players. > And here goes a fiery spell for all-rounder Akashdeep Nath. This is a duel between RCB and CSK. Unfortunately for Akashdeep, CSK were left with only ₹3.4 crore. RCB take the next bigger bit at ₹ 3.6 crore. Still a surprise deal for the uncapped all-rouder. > YUVRAJ SINGH IS BACK HOME FINALLY. In the second round, KXIP after some thinking decide to say yes for ₹ 1 crore base price. A net gain of ₹ 1 crore in releasing and regaining the T20 icon. > Here are some quick ones for base price. Rasikh Dar for MI (₹ 20 lak); Prithvi Raj Yarr to KKR for ₹ 20 lakh; Englishman Liam Livingstone to RR for ₹ 50 lakh and Keemao Paul to DC for ₹ 50 lakh. > And here goes an intense bidding for uncapped Prabhsimran Singh. Kings XI Punjab is holding the fort as others chip in and chip out. Finally it’s the highest ₹4.8 cr KXIP bid. > Darshan Nalkand goes to KXIP for ₹ 30 lakh, who also take home Shashank Singh for a similar bid. Both are uncapped players. > Milind Kumar gets solitary bid from RCB for his ₹20 lakh base price. > Pankaj Jaswal goes to Mumbai Indians for his ₹ 20 lakh base price. > KKR table is in all smiles to get uncapped wicketkeeper Nikhil Nair for ₹20 lakh base price. The Kolkata camp also takes all-rounder Harru Gurney. > Himmat Singh gets a ₹ 65 lakh to Royal Challengers Bangalore. > Rajasthan Royals take Oshone Thomas (base price ₹ 50 lakh) for ₹ 1.1 crore. > Delhi Capitals bag Guyanese Sherfane Rutherford for ₹ 2 crore. Kolkata Knight Riders had made the first bid at ₹40 lakh bae price. > But there is no bidder for injury-prone South African Dale Steyn at ₹ 1.5 cr bid price. > Kiwi Lockie Ferguson gets ₹ 1.6 cr deal from Kolkata Knight Riders. > Left-arm medium pace Barinder Saran goes to Mumbai Indians for ₹3.4. Not at all bad for ₹ 50 lakh Punjab boy. > Delhi Capitals and Royal Challengers Bangalore had an intense tussle or all-rounder Sam Currran. Kings XI Punjab jump in with ₹ 5.2 cr bid. The heat finally settles at ₹ 7.2 cr as KXIP make the winning bid. > South African Colin Ingram veteran with over 5,000 T20 runs and 140 strike rate is in demand. The intense bid from ₹ 2 cr base price settles for ₹ 6.4 cr in Delhi Capitals’ favour. > There are not many buyers for uncapped spinners. > Delhi Capitals bag another economy deal – Nathu Singh for ₹ 20 lakh base price in the solitary bid. > Uncapped Ankush Bains finds favour with the Delhi Capitals for his ₹20 lakh bae price. > This doesn’t just stop with Dube. The next man in, Varun Chakravarthy is breaking all-records for an uncapped player in the hall. Every franchisee in the hall, subject to their purse limit, is bidding for this boy. It’s ₹ 2, 3, 4, 5, 6, 7 crore and the bid goes on. Here he goes to Kings XI Punjab for a whopping ₹ 8.4 crore – a 14,000% value on the ₹20 lakh base price. This mystery spinner is going to generate tremendous interest this IPL season. He will be under pressure to perform to retain his contract with Punjab, the team that has chopped the most players this year. > This uncapped all-rounder Shivam Dube has made it to the headlines in the morning papers with five sixes in an over. In the afternoon he sets the auction hall ablaze. RCB have got the ₹20 lakh uncapped player for 5 crore. > Sarfaraz Khan, the teen sensation retained for ₹ 3 cr last season, has to settle for a mere ₹25 lakh with KXIP, a mere ₹5 lakh over his base price. > Amanpreet Singh from base price of ₹20 lakh to ₹80 lakh goes to Mumbai Indians. > Two more spinners Kary Pierre and Fawad Ahmad have no buyers for ₹ 50 lakh. > Adam Zampa: The World Cup factor seems to be playing on the franchisees mind. No one ready to invest in this Aussie wrist spinner as Cricket Australia has already ruled out the World Cup players availability for the entire IPL season. No bid for Zampa at ₹ 1 crore base price. > No Buyers for Team India discard Rahul Sharma for the second successive season. No one bids at ₹50 lakh base price. > Mohit Sharma : This Haryana but might have failed to find a favour with the national selectors. But the IPL franchisees still find good value in him. There is an intense three bidding between Delhi Capitals, KXIP and Chennai Super Kings, who has the last word at ₹ 5 crore. > The auctioneer has to wait for response on ₹50 lakh base price for Varun Aaron. Soon the seamer is in demand. Finally Rajasthan Royal get the deal for ₹ 2.4 crore. > Mohd Shami: This speedster’s Perth Test heroics are fresh in franchisees minds. The big starts at ₹1 crore and settles finally settles for ₹4.8 in favour of KXIP in an intense battle with CSK. > Lasith Malinga is back with the Mumbai Indians for ₹ 2 cro base price. > Ishant Sharma’s return to IPL is confirmed. Bidding starts at ₹75 lakh base price. Joins DC camp for ₹ 1.1 crore. > Jaydev Unadkar: Franchisees are always ready to open their purse strings for this man. Rajasthan Royals make ₹8.4 cr bid for him. The highest so far. > Wridhiman Shah goes to SRH for ₹1.25 cr. > Young Windies wicketkeeper Nicholas Pooran is in demand. KXIP get the final ₹4.2 cr bid for the ₹ 75 base price player. > Englishman Jonny Bairstow finds the Sunrisers Hyderabad camp for ₹ 2.2 cr. > Naman Ojha finds no buyer for ₹ 75 lakh base price. > It is a shocker. NO BID FOR YUVRAJ SINGH EVEN FOR A ₹1 CRORE BASE PRICE. Teams waiting to pocket him in a later round. > RCB pocket Gurkeerat Singh for the ₹50 lakh base price. > Carlos Brathwaite becomes first player to get ₹5 crore in IPL 2019 auction. Goes to KKR. > Shimron Hetmyer bought by RCB for ₹ 4.2 cr. A good gain for ₹50 lakh base price. > Hanuma Bihari goes to Delhi Capitals for ₹2 crore. Intense bidding from ₹ 50 lakh price. Kings XI Punjab : Purse : ₹36.2 cr. Vacancies: 15 – 11 Indians, 4 Foreigners. Retained Players:- Andrew Tye, Ankit Singh Rajpoot, Chris Gayle, David Miller, Karun Nair, KL Rahul, Mandeep Singh, Mayank Agarwal, Mujeeb Zadran and Ravichandran Ashwin. Acquisitions: Moises Henriques (for base price ₹ 1 crore); Nicholas Pooran (₹ 4.2 cr, base price ₹ 75 lakh); Mohd Shami (₹ 4.8 cr, base price ₹ 1 cr); Sarafraz Khan (₹ 25 lakh, base price ₹ 20 lakh); Varun Chakravarthy (₹8.4 cr, base price ₹ 20 lakh); Sam Curran (₹ 7.2 cr; base price ₹2 cr); Barinder Saran (₹3.4 cr, base price ₹50 lakh); Hardus Viljoes (₹ 75 lakh); Akashdeep Singh (₹ 20 lakh); Darshan Nalkandi (₹ 30 lakh, base price ₹ 20 lakh); Prabhsimran Singh (₹4.8 cr, base price ₹ 20 lakh); Agnivesh Ayachi (₹ 20 lakh); Harpreet Brar (₹ 20 lakh); YUVRAJ SINGH (₹ 1 cr). Delhi Capitals: Purse : ₹25.5 cr. Vacancies: 10 – 7 Indians, 3 Froeigners. Retained Players:- Amit Mishra, Avesh Khan, Chris Morris, Colin Munro, Harshal Patel, Jayant Yadav, Kagiso Rabada, Manjot Kalra, Prithvi Shaw, Rahul Tewatia, Rishabh Pant, Sandeep Lamichhane, Shikhar Dhawan, Shreyas Iyer and Trent Boult. Acquisitions: Hanuma Vihari (₹ 2 cr, base price ₹ 50 lakh); Ishant Sharma (Delhi Capital ₹1.1 cr, base price 75 lakh); Ankush Bains (₹ 20 lakh); Nathu Singh (₹ 20 lakh); Colin Ingram (SA) (₹ 6.4 cr, base price ₹ 2 cr); Sherfane Rutherford (₹ 2 cr, base price ₹40 lakh); Kimao Paul (₹ 50 lakh). Rajasthan Royals: Purse : ₹29.95 cr. Vacancies: 9 – 6 Indians, 3 Foreigners. Retained Players:- Ajinkya Rahane, Aryaman Vikram Birla, Benjamin Stokes, Dhawal Kulkarni, Gowtham Krishnappa, Ish Sodhi, Jofra Archer, Jos Buttler, Mahipal Lomror, Prashant Chopra, Rahul Tripathi, Sanju Samson, Shreyas Gopal, Steve Smith, Stuart Binny and Sudhesan Midhun. Acquisitions: Shimron Hetmeyer (₹4.2 cr, base price ₹50 lakh); Jaydev Unadkat (₹8.4 cr, base price 1.5 cr); Varun Aaron (₹2.4 cr, base price ₹50 lakh); Devdutt Padikkal (₹ 20 lakh); Heinrich Klassen (₹ 50 lakh); Oshane Thomas (₹1.1 cr, base price ₹ 50 lakh); Shashank Singh (₹ 30 lakh, base price ₹ 20 lakh); Liam Livingstone (₹ 50 lakh). Kolkata Knight Riders: Purse : ₹15.20 cr. Vacancies: 12 – 7 Indians, 5 Foreigners. Retained Players:- Andre Russell, Chris Lynn, Dinesh Karthik, Kamlesh Nagarkoti, Kuldeep Yadav, Nitish Rana, Piyush Chawla, Prasidh Krishna, Rinku Singh, Robin Uthappa, Shivam Mavi, Shubman Gill and Sunil Narine. Acquisitions: Carlos Braithwaite (₹ 5 cr, base price ₹75 lakh); Lockie Ferguson (₹ 1.6 cr, base price ₹ 1 cr); Nikhil Naik (₹ 20 lakh); Harry Gurney (₹75 lakh); Prithvi Raj Yarr (₹ 20 lakh). Mumbai Indians: Purse : ₹11.15 cr. Vacancies: 7 – 6 Indians, 1 Foreigners. 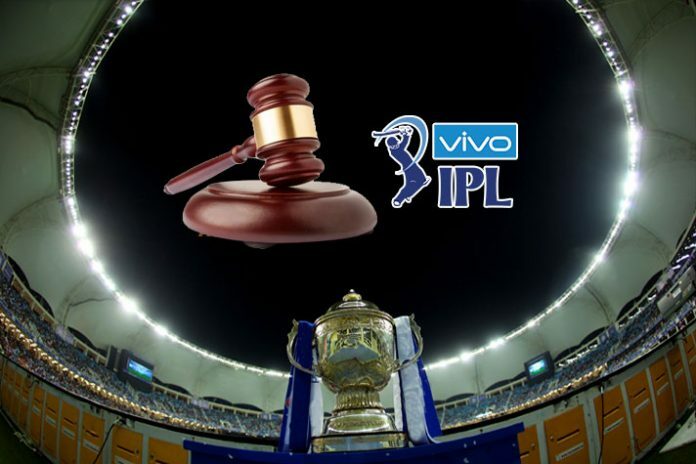 Retained players:- Adam Milne, Aditya Tare, Anukul Roy, Ben Cutting, Evin Lewis, Hardik Pandya, Ishan Kishan, Jason Behrendorff, Jasprit Bumrah, Kieron Pollard, Krunal Pandya, Mayank Markande, Mitchell McClenaghan, Quinton de Kock, Rahul Chahar, Rohit Sharma, Siddhesh Lad and Surya Kumar Yadav. Acquisitions: Lasith Malina (for base price ₹ 2 cr); Amanpreet Singh (₹80 lakh, base price ₹20 lakh); Pankaj Jaswal (₹20 lakh); Rasikh Dar (₹ 20 lakh). Sunrisers Hyderabad: Purse : ₹9.7 cr. Vacancies: 5 – 3 Indians, 2 Foreigners. Retained players:- Abhishek Sharma, Basil Thampi, Bhuvneshwar Kumar, Billy Stanlake, David Warner, Deepak Hooda, Kane Williamson, Manish Pandey, Mohammad Nabi , Rashid Khan, Ricky Bhui, Sandeep Sharma, Shahbaz Nadeem, Shakib Al Hasan, Shreevats Goswami, Siddarth Kaul, Syed Khaleel Ahmed, T Natarajan, Vijay Shankar and Yusuf Pathan. Acquisitions: Jonny Braistow (₹ 2.2 cr, base price ₹1.5 cr); Wriddhiman Shah (₹ 1.2 cr; base price ₹1 cr); Martin Guptill (₹ 1 cr). Royal Challengers Bangalore: Purse : ₹18.15 cr. Vacancies: 10 – 8 Indians, 2 Foreigners. Retained players:- AB de Villiers, Colin de Grandhomme, Kulwant Khejroliya, Marcus Stoinis, Moeen Ali, Mohammed Siraj, Nathan Coulter-Nile, Navdeep Saini, Parthiv Patel, Pawan Negi, Tim Southee, Umesh Yadav, Virat Kohli, Washington Sundar and Yuzvendra Chahal. Acquisitions: Gurkeerat Singh (for base price ₹ 50 lakh); Shivam Dube (₹ 5 cr, base price ₹ 20 lakh); Himmat Singh (₹ 65 lakh, base price ₹ 20 lakh); Milind Kumar (₹20 lakh); Prayag Raj Barman (₹ 1.5 cr, base price ₹ 20 lakh); Akashdeep Nath (₹ 3.6 cr, base price ₹20 lakh). Chennai Super Kings: Purse : ₹8.1 cr. Vacancies: 2 – 2 Indians. Retained Players:- Ambati Rayudu, Asif K M, Chaitanya Bishnoi, David Willey, Deepak Chahar, Dhruv Shorey, Dwayne Bravo, Faf du Plessis, Harbhajan Singh, Imran Tahir, Jagadeesan Narayan, Karn Sharma, Kedar Jadhav, Lungisani Ngidi, Mitchell Santner, Monu Singh, MS Dhoni, Murali Vijay, Ravindra Jadeja, Sam Billings, Shane Watson, Shardul Thakur and Suresh Raina. Acquisitions: Mohit Sharma (₹ 5 cr, base price ₹50 lakh).